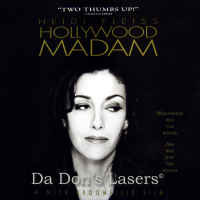 "Cuts Right to the Corrupt Heart of Hollywood Babylon"
Heidi Fleiss Hollywood Madam 1995 - 107 min. - Color Genre: Documentary Not Rated Country: USA LaserDisc Movie Review: A documentary crew from the BBC arrives in L.A. intent on interviewing Heidi Fleiss, a year after her arrest for running a brothel but before her trial. Several months elapse before the interview, so the crew searches for anyone who'll talk about the young woman. Two people have a lot to say to the camera: a retired madam named Alex for whom Fleiss once worked and Fleiss's one-time boyfriend, Ivan Nagy, who introduced her to Alex. Alex and Nagy don't like each other, so the crew shuttles between them with "she said" and "he said." When they finally interview Fleiss, they spend their time reciting what Alex and Nagy have had to say and asking her reaction. Thanks for Visiting DaDon's Rare LaserDiscs ! Reviews, Articles, Newsletter and Information for Movies on LaserDisc LD Laser Disc, LazerDisc.